TL;DR: Here’s a Portfolio Review–Set-up and Assessment Tool for you to use. A couple years ago I contracted with Capital One to help bring some order to their rapidly expanding design organization. I focused on recruiting and hiring practices–when you’ve got ~40 open reqs, you want to make those processes as efficient and effective as possible. Key to any design recruiting process is the portfolio review, where a designer walks people through a selection of their work, and the thinking and activity that went into creating it. Every interview loop at Capital One includes two behavioral interviews (BIs), which have a formal and repeatable structure, and require training to administer. It turned out the topics of one of the behavioral interviews was similar to what you’d get out of a portfolio review, and in an effort to reduce the time on-site (which could get up to 7 or 8 hours) I had hoped to replace a BI with the portfolio review. I worked with Capital One’s HR team on this, and learned that, to be a worthwhile tool, it needed rigor and repeatability. This was key to removing bias from the process, focusing it on skills and experience, not personality and camaraderie. I had never conducted ‘rigorous’ portfolio reviews. I’d always just had a candidate show their work, and ask some questions to clarify the candidate’s role, and that was that. Such a loose approach was not going to fly here. The goal was to make something that ensured fairness in the process, and that, regardless of who was providing feedback, the assessment would be the same. And key to making this work is the assessment tool. When I first drafted it, for each skill (visual design, interaction design, communication, etc.) you could score someone 1 to 5. However, there was no guide as to what a “1” would be or a “5”, and so it was too open for interpretation. So I worked with craft leaders throughout Capital One to come up with language for these skills, to provide clear guidance in scoring candidates. That, for me, was the key ‘innovation’ in this approach. I share it with the hopes that this helps make designer interview processes better everywhere. Feel free to copy it and make it your own! A topic of some controversy within product design circles is whether candidate interviews should involve some kind of design test or challenge akin to what happens in engineering interviews. Our firm, resolute response to this is “no.” Design tests set up an unhealthy power dynamic in the interview environment, when instead you should be fostering collegiality. The context in which the challenge is given (typically narrowly time-boxed and with only a little information and little support) is wholly artificial—and so whether a candidate succeeds or fails is not a meaningful indicator of actual practice. There is nothing you will find out in such a test that you couldn’t better learn through probing the candidate about their portfolio. I had hoped that this would be sufficient and never need to be discussed again. Judging by lengthy multi-party threads on Twitter, I was wrong. Forthwith, a lengthier set of reasons for why design exercises are bad interview practice. At Adaptive Path, we hired world-class designers without ever having them conduct a challenge. Same thing back at the first design firm I worked for, Studio Archetype, which was a standard-bearer for early digital design. These are companies whose sole purpose was the delivery of superlative design, and where the value was the talent of the people on staff. How were we able to assess their abilities? As alluded to in the passage above, portfolio reviews, including discussions of how they tackled design challenges. If there’s nothing you can get from a design exercise that you can’t get from a portfolio review and a well-structured thoughtful interview, then it follows they are a waste of time. I call this out because recruiting and hiring is already monumentally time consuming, and anything that needlessly takes up time should be excised from the process. I can’t say for certain, as I haven’t done the research as to where design exercises emerged as an interviewing practice (it’s not from traditional design practice), but my guess is that they came about in technology companies where software engineering was the dominant practice. Design had to overcome its perception as squishy, soft, “make it pretty,” by demonstrating rigor, relying on data, and generally making the practice of design operate more like engineering. And engineering hiring interviews involve technical exercises (coding challenges and the like), so shouldn’t design hiring interviews? The thing is, coding challenges are waaaaay more straightforward than design exercises. There are demonstrably better ways to solve engineering problems. And in most coding exercises, the outcome is predetermined — it’s a matter of how would you realize it? The same is not at all true for design. You’re not applying process to realize an already known outcome. You’re taking in a massive amount of input in order to navigate your way through the problem space. Unlike engineers, you need to consider business context, user needs, goals, and capabilities, brand concerns, technical constraints, channels of use, and god knows what else. And good designers know that there are many potential solutions to a problem, and require testing and iteration to get to anything like a good solution. Designers don’t all solve problems the same way. Some take in a lot of data, go off into a cave, noodle on it for a while, and come out with something great. Others iterate and prototype almost from the get go, uncovering solutions through refinement. Some require thinking out loud, and deep collaboration to get their best work. 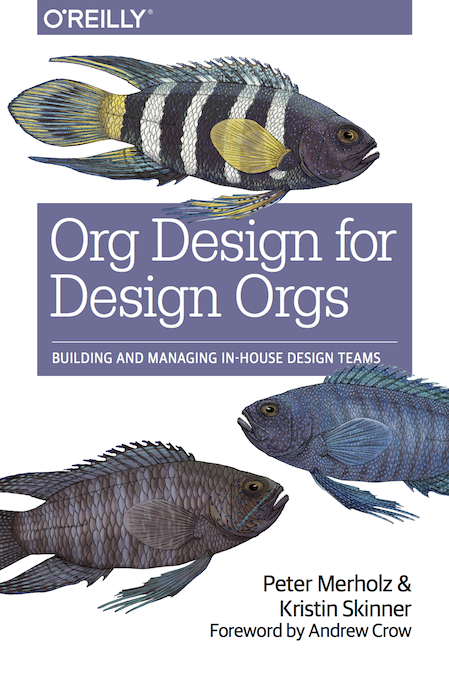 A great design organization has people with a variety of problem-solving modes and approaches, which enables the organization to better tackle a wide array of challenges. The artificial constraints of design exercises (typically time-limited; a problem that the candidate isn’t prior familiar with, but which the interviewers are; performing under the scrutiny of others) biases toward a narrow range of problem solving. A design exercise, by its very nature, is inclined towards facile solutions, and so biases teams towards facile designers. There’s not really any room for grokking depth. Shown to be highly biased against women and people of color, especially those who come from cultures where questioning or interrupting authoritative strangers is seen as social insubordination. This is often the response to my ranty diatribes against design exercises. What if they’re take-home? Then people have all the time they need, and it’s the pressure cooker of performing-on-demand is. Beyond the obvious problem, that’s still at the root of all of my issues with design exercises (for the people in the back: THEY ARE ARTIFICIAL CONSTRUCTS THAT DON’T REFLECT HOW DESIGN ACTUALLY HAPPENS), they introduce new issues… Namely, now you’re asking this person to do unpaid work. Young people with savings (i.e., don’t need money) and free time will be able to put a lot more effort into take-home exercises than, say, a single parent whose at-home time is focused on their children, and can only do “homework” after the kids asleep and when they’re likely exhausted. Recognizing this, some companies do offer to pay people for taking the time to do a take-home exercise (which can help defray costs like child care), and that’s better than not doing so, but even better…? No exercises. Because you don’t need them. Because they add nothing to the recruiting and hiring process that can’t be figured out through thoughtful, experienced-based interviews, a savvy portfolio review, and speaking with people the candidate has worked with. The most important representation of a designer’s career is not their résumé, but their portfolio. Design managers end up reviewing dozens, if not hundreds, of portfolios for any role. For those designers who do not have public portfolios, ask to see one. Any designer under consideration must have a portfolio. No portfolio means no job. As with any discussion started on Twitter, there exists greater nuance than can be comfortably communicated. His blanket statement that “the best designers don’t have them” is wrong–many great designers do. But, yes, many great designers don’t have an updated portfolio handy, because they’re busy. As a hiring manager, I am willing to start the recruiting process without a portfolio, if there are other positive indicators in play—their resume shows they’ve worked for companies with high design standards, or there’s a strong personal referral. I advocate for 2 screening interviews before an on-site. In the case of someone without a portfolio, my first discussion would be to vet them as professionals, as people, their career, their trajectory, and if they seem to be a fit for the role I’m looking to fill (appropriate skills, seniority level, interest). The second discussion would be a detailed discussion of their work. While this wouldn’t need to be a formal portfolio, they would need to be able to walk me through 1-2 projects, even if that means pulling up working docs from hard drive folders. But, and this is the key point: no designer is coming on-site without having shown their work in the screening process. It’s also worth mentioning that when they ARE on-site, I do expect a more formal portfolio presentation, to be given to the interview panel and possibly other members of the design team. So if this person is serious about the role, they will need to find time in their ‘busy’ schedule to pull this material together. If they claim to be too busy to do so, that’s a sign of disinterest, and it’s best to move on.